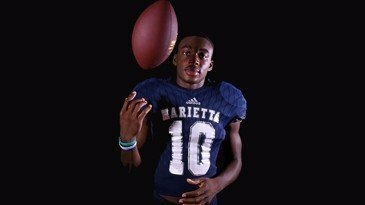 In week 1, Marietta WR Ramel Keyton had 14 catches for 191 yards and four touchdowns against top ranked Rome. He did so on TV for all the state to see, on the road in hostile environment, and against one of the state’s best defenses. He was an all state player in class 7A as both a Sophomore and Junior. He is a 4star recruit currently committed to Tennessee.